Does a surge in credit card borrowing mean consumers are confident in economy? Even though evidence is mounting that the US economy may be soon heading into a recession, there are plenty of analysts who say that the surge in credit card borrowing is a sign of strong confidence among households. That’s hardly the case. In fact, households’ confidence in the future growth of their incomes has been cooling since late last summer, which means borrowers will only reach for what’s in their wallet to compensate for what their paychecks will not cover. Many working adults have no recollection of credit card borrowing not being a mainstay among their financing options. But then, few would be able to identify a Diners Club card, which was a popular brand during the 1980s ‘yuppie’ era when Americans first began to embrace credit card spending in earnest. These days, consumers are not keen to lean on credit cards, partly due to a cultural and financial shift in the industry. The financial crisis arguably altered households’ views on charging beyond their means. It didn’t hurt that the availability of sub-prime credit all but disappeared for a few years or that the interest rate on credit cards remained in double-digit territory despite the Federal Reserve’s zero interest rate policy. That said, the idea of frugality re-entered many households’ thinking in the wake of the severe hardship the foreclosure crisis brought to bear on millions of working Americans. 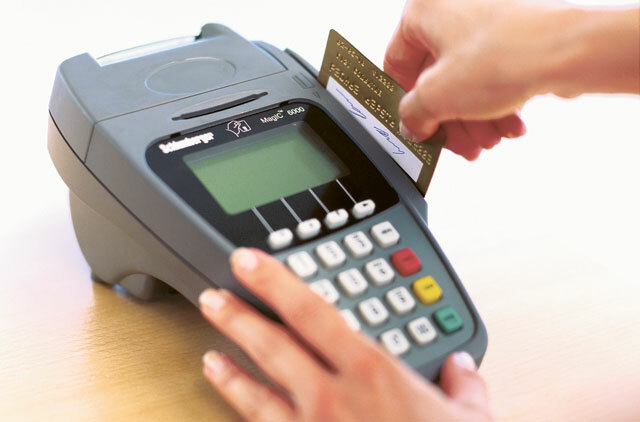 Debit cards became the predominant form of plastic used at the checkout. And yet, consumer credit likely rounded out 2019 at a new $4 trillion milestone as runaway higher education and car-price inflation coupled with ridiculously looser lending standards pushed households to take on record levels of student loan and auto debt. At roughly $1 trillion, credit cards are but a co-star in a star-studded, full-length feature film. A long history of credit card borrowing suggests that we would have multiples of today’s $1.04 billion in outstanding balances had the growth rate of spending on plastic maintained the headier double-digit paces clocked in the 1980s and 1990s. Several factors worked to slow the rate of credit card usage, few of which were virtuous. The past several recoveries were characterised as “jobless” due to the prolonged period required to recapture prior cycle highs in the employment-to-population ratio and anaemic wage growth that persisted in such environments. And while credit card spending certainly held up during the years the housing bubble was inflating, households didn’t have to lean near as hard on plastic when their homes had infamously become de facto ATM machines. Challenger, Gray & Christmas layoff announcements began rising on an annualised basis in August. And the quits rate, as measured by the Job Openings and Labor Turnover Survey, or JOLTS, peaked in August. Janet Yellen, a labour economist by training, was known to lean heavily on the quits rate, which rises as workers gain increased confidence in the availability of jobs. And finally, confidence among small businesses, which we know are the largest source of job creation, also peaked in August. There is a pattern. You may note that the effective personal income tax rate — defined as the taxes paid on income, including realised net capital gains and on personal property — has tended to move up alongside credit card borrowing with two exceptions in the history depicted. The 1980s and the current episode are marked by falling income taxes, hence the decline in this tax rate ahead of recession. It’s intuitive that this holistic tax rate also rises as stocks rally throughout an expansion and declines into recession as the swing factor of capital gains drives the marginal moves. Add it all up and it’s likely that any rush to ‘charge it’ will be a last gasp as income expectations continue to decline and eventually cross lines with credit card borrowing. The closer we get to recession, the more desperate a sign credit card borrowing is anything but a reflection on strengthening in household finances. Households wouldn’t be reporting that they expect their incomes to rise less if that was the case.